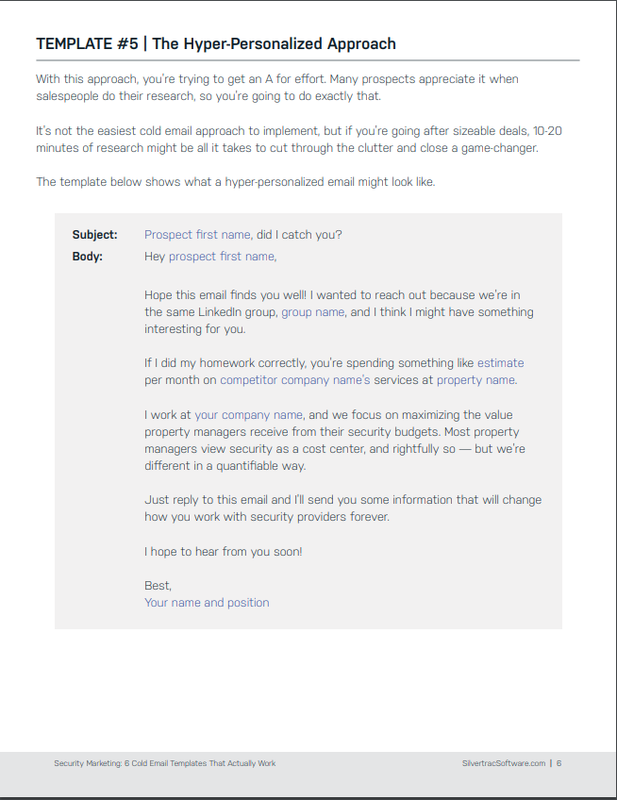 Convert cold outreach bids into profitable contracts by implementing our 6 free proven email templates into your internal security company's marketing strategy. 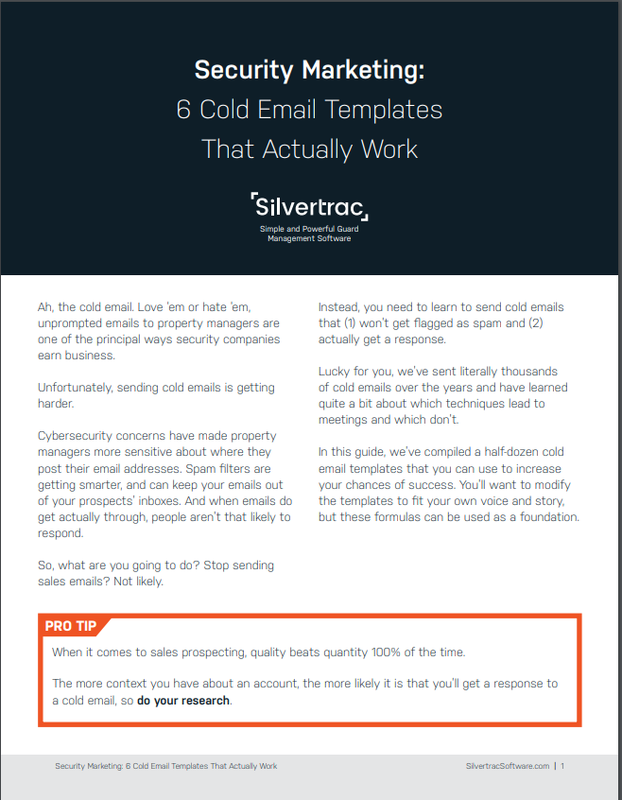 In this free downloadable guide, you'll learn how to best approach a cold prospect using 6 different email techniques with easy-to-use templates that will close more sales and grow your active client list without sacrificing marketing dollars. Obtaining new security contracts always starts with a good outreach & proposal. But selling your services to cold prospects is only getting more expensive online. And reaching out directly is not always the best use of time for most small business owners. However, email marketing remains one of the cheapest & most engaging sales platforms for anyone looking to promote their business and increase sales frugally online. But selling your services takes a strategic approach in order to be successful. If you are having difficulty closing cold deals, but are looking to grow your business while controlling marketing costs, then this guide is just for you! We're here & happy to help!